SAVE when you buy the 3-volume kit! 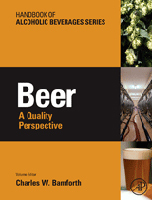 Increase your Specialty Brewing knowledge with this easy-to-use handbook series! 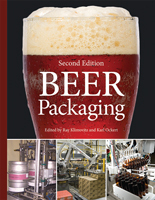 Volume 3 will provide you with fast answers to technical questions on a variety of brewery engineering subjects in the production of specialty ales and lager beers. Jaime Jurado is the director of brewing operations for the Gambrinus Company, in San Antonio, Texas. He holds undergraduate and graduate degrees in chemical and electrical engineering and has done postgraduate work in medical engineering. He was educated in brewing as a Praktikant in the Bavarian breweries of Patrizier-Brau AG, under the guidance of Dr. Ing. Peter Hellich and Dr. U. Ost, and has been in the professional brewing industry since 1983. He is active in the Draft Brewers Guild. Draft dispense application is his area of practical research. Jim Kelter is the quality assurance brewmaster for the Full Sail Brewing Company, in Hood River, Oregon. He has worked for Full Sail since 1990. In addition to managing the quality assurance lab, he oversees brewing and packaging production and maintenance operations. He has been an active member of the company’s safety committee. Full Sail recently received its fourth commendation from the Safety and Health Achievement Recognition Program of the Oregon Occupational Safety and Health Division, and the company is now working on its fifth. Lewis Twice and Shellhammer, a brewing consulting business. He earned a B.S. in food science and technology at Virginia Tech in 1991 and an M.S. in brewing science at the University of California, Davis, in 1994. As a graduate student, he worked at Sudwerk Privatbrauerei Hübsch, which then had many open fermenters, requiring manual cleaning. This task allowed plenty of time for pondering the subject of brewery sanitation! He is a member of the Master Brewers Association of the Americas and the Institute of Brewing and Distilling. John Mallett is the production manager at the Kalamazoo Brewing Company, in Kalamazoo, Michigan. He has served in numerous capacities over his brewing career, as head brewer of the Commonwealth Brewery, in Boston, brewmaster at the Old Dominion Brewing Company, in Ashburn, Virginia, and founder and president of SAAZ, an equipment and service provider for breweries both large and small. He has lectured and written extensively, serves on various technical committees, and is widely known as a consulting resource. He attended the Siebel Institute and has been as a member of the extended faculty there. Karl Ockert is the brewmaster and plant manager of the BridgePort Brewing Company, in Portland, Oregon, which he helped found and build in 1984. He earned a B.S. in fermentation sciences from the University of California, Davis, in 1983. His brewing career has covered the spectrum of breweries, ranging from brew pub size to the Anheuser-Busch brewery in Newark, New Jersey. His experience in environmental engineering comes from working with brewery plant wastewater disposal at BridgePort for the last nine years. Fred Porter is the environmental engineer at the New Belgium Brewing Company, in Ft. Collins, Colorado. He earned a B.S. in chemical engineering from Colorado State University in 1997 and started work at New Belgium as a mechanic. He became facilities manager in 1998 and plant environmental engineer in 2003. His position at the brewery is devoted to managing an aerobic-anaerobic treatment plant installed in 2001. Sixty years ago, MBAA created a simple, practical, technical book on all aspects of brewing in a user friendly question-and-answer format. Building on that best-selling concept, this new handbook series written by MBAA experts expands the Q&A format in a comprehensive manner, making it easier than ever to find answers to your questions on the broad subject of specialty brewing. The unique simplicity of the Q&A format makes understanding and application straightforward. Editor Karl Ockert has assembled a talented group of expert contributors from within the pub, craft, and large brewing communities, who write from their own experience and knowledge to bring you the know-how you need in order to answer real-life questions quickly and easily. Practical convenience is the objective for this handbook series which stresses useful applications over theory. Get fast answers to technical questions on a variety of brewery engineering subjects in the production of specialty ales and lager beers.